New York: A.L. Burt Company, Publishers, 1932. Hardcover. Small 4to. Blue cloth with teal green lettering, pictorial dust jacket. 384pp. Frontispiece. Near fine/very good. Endpapers age toned as usual; jacket faintly edgeworn, with a few tiny edge chips and small abrasion at front panel upper left. Quite tight and attractive reprint edition of this biography of the Scottish historical novelist and poet (1771-1832) by the Scottish novelist and historian (1875-1940). Rather uncommon, especially in the evocative jacket. Boston: Little, Brown and Company, 1939. Hardcover. 8vo. Green cloth with gilt lettering, pictorial price-clipped dust jacket. 296pp. Very good/very good. Faint jacket wear, with spine slightly age toned. A tight, attractive first U.S. edition of this popular memoir by the noted American-born British critic and essayist (1865-1946). Philadelphia: J.B. Lippincott Company, 1933. Hardcover. 8vo. Black cloth with gilt lettering, pictorial dust jacket. 382pp. Near fine/very good. Jacket edgeworn, with a few small edge chips and archivally closed (on verso) small edge tears. Tight, attractive first edition of this thick memoir by the British novelist, critic and poet (1873-1939). Chicago: The Frank M. Morris Co, 1906. Hardcover. Small 8vo. Blue cloth with gilt lettering. 80pp. Two frontispiece, full-pages plates, illustration. Very good. Faint edgewear, else internally tight and near fine; 1914 ownership signature on front flyleaf. A handsome first edition of this slim oddball study, first volume in "The Dilettante Series." Notes on the various Poe portraits, commentary, essay, tribute, etc. Unusual double frontispiece ("The Transposable Portrait") with top likeness intentionally slit top to bottom to allow reader to superimpose these differing head-and-shoulder portraits by Leigh in different ways. New York: D. Appleton and Company, 1922. Hardcover. Illustrations by Vernon Hill. 8vo. Green cloth with gilt lettering. x, 279pp. Numerous line drawings ("emblems"). Very good. Mild binding edgewear, with gilt on spine and top of front board dulled -- though internally tight, bright and near fine. A handsome, tight first edition of these unusual travel essays concerning touring the West with famed Illinois troubadour poet Vachel Lindsay (1879-1931) by this British journalist, travel writer, novelist and essayist (1884-1975), first published as letters in the "New York Evening Post." This copy bears a fine full signature in brown ink of Lindsay on a 3¼" X 1 5/8" slip tipped neatly to the front flyleaf. New York: William Morrow and Company, 1948. Hardcover. 8vo. 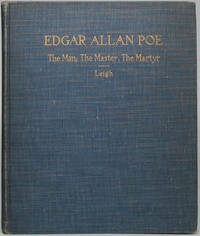 Blue cloth with gilt spine lettering, pictorial price-clipped dust jacket. vii, 280pp. Frontispiece, illustrations. Near fine/very good. Mild jacket edgewear, with couple of tiny edge chips. A tight, quite attractive first U.S. edition of this biography of the life and times of the famed late 18th century Irish playwright, poet and satirist. Philadelphia: J.B. Lippincott Company, 1972. Hardcover. Small 4to. Black cloth with gilt spine lettering, dust jacket. xiii, 322pp. Illustrations. Near fine/very good. Faint jacket edgewear only. 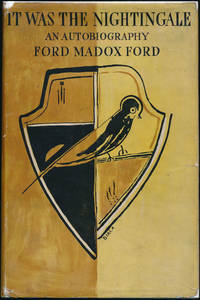 A lovely and tight first edition of this biography of the Pulitzer Prize-winning American novelist (1893-1960) best known for "The Late George Apley" -- signed hugely by the late Birmingham (1929-2015) in black fineline on the front flyleaf. New York: Simon & Schuster, 1974. Hardcover. Small 4to. Black cloth with gilt spine lettering, pictorial dust jacket. 380pp. Illustrations. Near fine/near fine. Tight, handsome first edition of this life of the influential muckraking New York journalist by late writer/editor Kaplan (1925-2014), who boldly signs an inner flyleaf in blue ballpoint. New York: Simon & Schuster, 1977. Hardcover. Small 4to. Light grey cloth spine with blue lettering and blue paper over boards, dust jacket. 420pp. Illustrations. Good plus/very good. Tight and nice book would rate higher but for coffee-type stain on outer page edges; mild jacket edgewear. 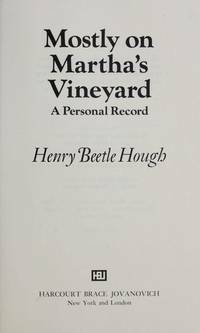 First edition of this joint memoir by the much-maligned husband-and-wife American historians (he 1885-1981, she 1898-1981), signed by him in black ballpoint on inner flyleaf and she as usual signing first name only below his. Kroch's & Brentano's "First Edition Circle" bookmark laid in. New York: Harcourt Brace Jovanovich, 1978. Hardcover. Small 4to. Brown cloth with copper spine lettering, pictorial dust jacket. 319pp. Illustrations. Near fine/near fine. Jacket spine ever-so-faintly sunned. 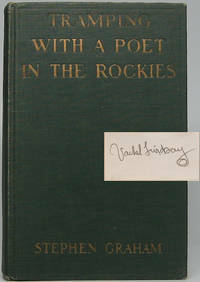 First edition, tight and clean, signed big and bold in purple fineline (as usual) by Sandburg on the front flyleaf. Kroch's & Brentano's "First Edition Circle" bookmark laid in. New York: William Morrow and Company, 1976. Hardcover. Small 4to. Yellow cloth spine with red lettering and grey paper over boards, dust jacket. 334pp. Illustrations. Very good/very good. Faint jacket edgewear. A tight and attractive first edition, boldly signed by Teichmann in black fineline on the front flyleaf. Kroch's & Brentano's "First Edition Circle" bookmark laid in. New York: McGraw-Hill Book Company, 1966. Hardcover. 8vo. 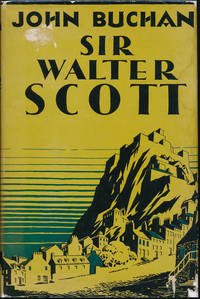 Dark and light green paper over boards with white and yellow spine lettering, pictorial price-clipped dust jacket. 217pp. Illustrations. Very good/very good. Jacket lightly age toned. 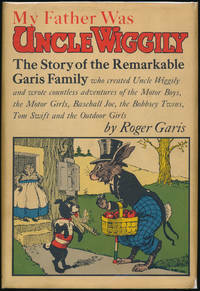 A tight and handsome first edition of this (to cite front jacket panel) "Story of the Remarkable Garis Family who created Uncle Wiggily and wrote countless adventures of the Motor Boys, the Motor Girls, Baseball Joe, the Bobbsey Twins, Tom Swift and the Outdoor Girls." Jersey City, NJ: The Davey Company, 1968. Hardcover. Illustrations by Fritz Kredel. Small 4to. Red cloth spine with gilt lettering and black blind-embossed cloth, slipcase. viii, 85pp. Partly-color line drawings. Fine/near fine. Superb and tight first edition of this binder's boards manufacturer's anniversary keepsake volume, illustrated sketches of 17 mostly-American authors, in order: Dickens, Cooper, Bryant, Emerson, Hawthorne, Longfellow, Poe, Holmes, Thoreau, Melville, Whitman, Twain, Sandburg, Frost, O'Neill, Hemingway and Steinbeck. Charmingly illustrated, with laid-in printed slip from company president transmitting same. Pasadena: By the Author, 1936. Hardcover. 12mo. Burgundy cloth with gilt spine lettering and black front board lettering, dust jacket. 140pp. Near fine/very good. Jacket rather age toned, with bit of edgewear and couple of edge chips along flap folds. 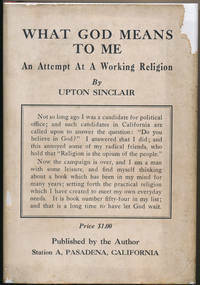 Tight and attractive first edition of this spiritual memoir by this incredibly prolific author, socialist, reformer, remarkably unsuccessful political wanna-be and all-around gadfly (1878-1968) remembered today mainly for his 1906 bestseller "The Jungle." Fine autograph addition: Tipped to inner flyleaf is a Typed Note Signed from Sinclair, 1p, 7¼" X 5", Pasadena, CA, 14 August 1940. Addressed to future noted Lincoln/Civil War scholar Arnold F. Gates (1914-93). Fine. On his imprinted letterhead, Sinclair thanks this admirer for "your friendly note, and thank you for sending me the clipping about 'World's End'...." Large bold signature in black ink. ("World's End" was Sinclair's then-new novel, the first of what would become the 11-volume "Lanny Budd" series about a teenage boy in private school in Germany around World War One.) Usual Farrar Rinehart logo on copyright page (who issued a simultaneous edition). Garden City: Doubleday, Doran & Company, 1930. Hardcover. Small 8vo. Blue cloth with green lettering and decoration, pictorial price-clipped dust jacket. xiii, 243pp. Pictorial endpapers. Near fine/good plus. Jacket edgeworn and rubbed, with tiny chips at corners. A tight and lovely first edition of this memoir by the popular action/adventure novelist (1878-1927) -- incomplete at the time of his death, it was completed by Dorothea A. Bryant, who also that same year completed his final novel, "Green Timber." 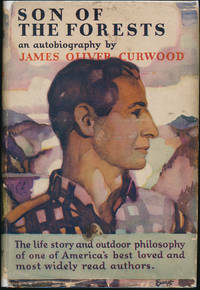 Front jacket panel boasts, "The life story and outdoor philosophy of one of America's best loved and most widely read authors." Choice autograph addition: Neatly tipped to inner flyleaf is a 4½" X 2¼" slip boldly inscribed and signed in black ink "James Oliver Curwood / Owosso, / Michigan / Jan. 26, 1921." Since a signed copy of this posthumously-published title is an impossibility, this is the next best thing. Uncommon in dust jacket. New York: Harcourt, Brace and Company, 1953. Hardcover. 8vo. Green cloth with silver lettering, pictorial dust jacket. 445pp. Pictorial endpapers. Near fine/very good. Mild jacket edgewear, with tiny chips at tail of spine; bookplate on inside front flyleaf. A tight and nice later printing of this enjoyable memoir of the Illinois poet and Lincoln biographer's early years in and around small town Galesburg, Illinois. 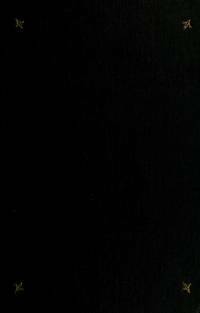 Inner flyleaf bears Sandburg's large, bold signature in black ink. New York: Harcourt Brace Jovanovich, 1975. Hardcover. 8vo. Brown cloth spine with gilt lettering and green paper over boards, dust jacket. 298pp. Near fine/near fine. A tight, handsome first edition of this autobiography by the Pulitzer Prize-winning Massachusetts journalist and newspaper editor (1896-1985). Boston: Little, Brown and Company, 1952. Hardcover. 8vo. Yellow cloth with brown spine lettering, pictorial price-clipped dust jacket. xi, 353pp. Frontispiece, illustrations. Near fine/very good. Mild jacket edgewear, with old reinforcements on verso; interesting Western cattle brand-theme ownership signature on front pastedown. Uncommon first edition, tight and lovely, of this biography of the (to cite front jacket panel) "King of the Dime Novelists, Buffalo Bill's Promoter, Soldier, Sportsman, Western Trader, Roue, Political Manipulator, Adventurer Extraordinary." New York: P.F. Collier and Son Company, 1925. Hardcover. Introduction by Albert Bigelow Paine. Complete 2-volume set. Small 4to. Burgundy ribbed cloth with gilt lettering. xvi, 368pp; 365pp, (2pp ads). Top edges gilt. Captioned tissue-guarded frontispieces. Very good. Minor cloth flecking, else bright and nice and internally fine. 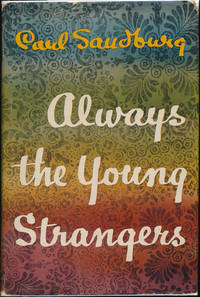 A tight and handsome early reprint edition of Twain's celebrated, posthumously-published 1924 memoir. Fun autograph addition: Tipped to the lower portion of the title page is a fine, bold "Cordially yours / Albert Bigelow Paine" in black ink on a 2" X 4" slip. Paine (1861-1937) served as Mark Twain's literary executor and authored a massive 3-volume biography of Clemens (1912); he was also a well-known journalist and writer of light fiction. A lovely set with appropriate signature added. New York: Harper & Brothers, 1924. Hardcover. Introduction by Albert Bigelow Paine. 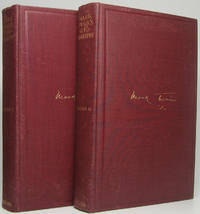 Complete 2-volume set. Small 4to. Blue ribbed cloth with gilt lettering. xvi, 368pp; 365pp, (2pp ads). Top edges gilt. Captioned tissue-guarded frontispieces. Very good. Slightest edgewear only, else internally fine. A tight and handsome second printing ("L-Y"), with two pages of advertisements at close of the second volume. Tipped to an inner flyleaf is a choice autograph addition: Typed Note Signed by ALBERT BIGELOW PAINE and CLARA CLEMENS GABRILOWITSCH, 1p, 6" X 7½", Waycross, GA, 5 December 1935. Addressed to Arnold F. Gates (1914-93, noted Lincoln/Civil War scholar). Very good. On "Hotel Ware" pictorial letterhead, Paine and Gabrilowitsch write this young admirer that "It pleases me to know that you thought the books I have written are worthy to be added to your collection on our good Saint Mark's 100th birthday. And I am very happy to sign myself...." and Paine signs boldly in full in brown ink, with "Very Sincerely Yours / Clara Clemens / Gabrilowitsch" below his in black ink. Paine (1861-1937) served as Mark Twain's literary executor and authored a massive 3-volume biography of Clemens (1912); he was also a well-known journalist and writer of light fiction. Gabrilowitsch (1874-1962) was Mark Twain's daughter (and protector of his posthumous reputation -- she's listed as copyright holder in this book) as well as a noted singer who performed recitals with her pianist husband, Russian emigrant Ossip Gabrilowitsch (1878-1936). Paine was almost right about the precise centennial of Twain's birth (November 20, not December 5) -- but a fine autograph accompaniment to this controversial memoir and with Twain content to boot. An outstanding set.